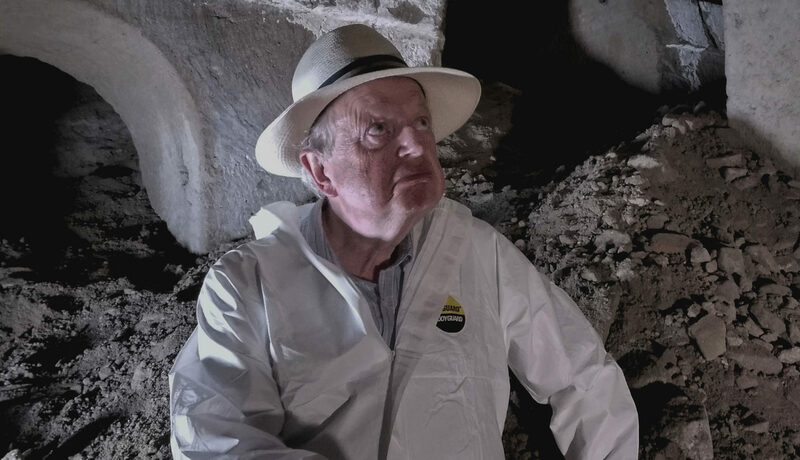 A QUIET step back into the past gave John Sergeant a fresh, but chilling, insight into one of the world’s most famous natural disasters. Pompeii’s Final Hours: New Evidence tells the story of the eruption by Mount Vesuvius in 79AD that killed everyone left in the city. It’s stripped across three consecutive nights from Wednesday, with John joined by historian Bethany Hughes and archaeologist Raksha Dave. “I’ve visited Pompeii on holiday but in making this we got unprecedented access,” John told iN10. “The three of us were there early in the morning, walking down this narrow little street on our own. “Usually you’re jostling with a lot of other tourists, but it was like a ghost town. John insists such great stories from history need retelling and is sure that most viewers won’t have visited and many won’t really know the story. The programme was allowed into areas normally closed to the public and some have never been seen before on television. Some of the victims were also taken to a hospital to be forensically scanned for the first time. And on a visit to modern day Naples, John discovers that surprisingly little has changed. “The shop fronts were much the same as Pompeii and the people were similarly very superstitious, which took me aback. “We are all supposed to be so advanced, but we’re not really. We’re still the same as the people around at that time. Pompeii’s Final Hours: New Evidence, Channel 5, Wed-Fri, 9pm.